DOHA, Qatar – Arua District Woman MP Moureen Osoru has asked the Inter-Parliamentary Union (IPU) delegates to put emphasis on educating the youth as a guarantee to maintaining world peace and security as opposed to the military might that relies heavily on the barrel of the gun. 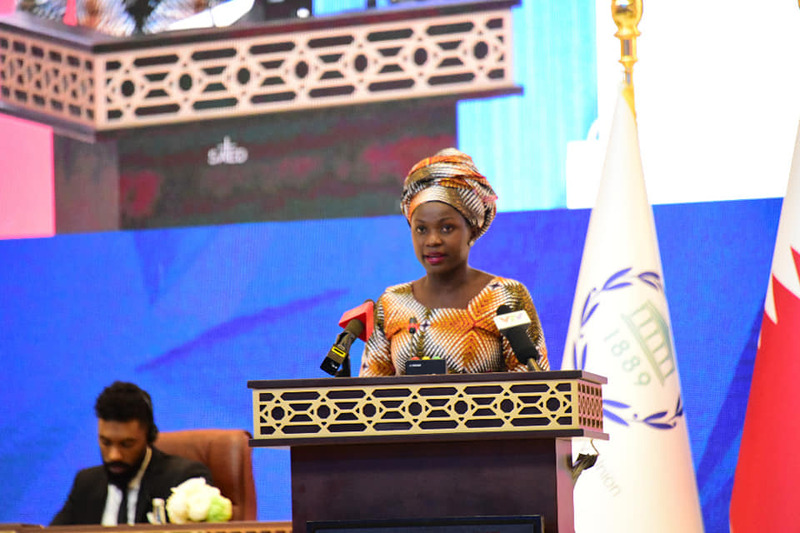 Ms Osoru, who is the outgoing President of the Forum of Young Parliamentarians of IPU and one of the MPs representing Uganda, made these remarks while addressing global legislators union at the opening of the general debate of the 140th IPU Assembly on Sunday in Doha, Qatar. Ms Osoru underscored the call of the late Kofi Annan to use education as a mechanism for peacebuilding in the face of growing violent extremism, terrorism and hatred across the globe. “No one is born a hater; no one is born a violent extremist…hate is learned [so]to nip hate in the bud, we need to solve the problem at its root, in the minds and aspirations of young people [and]education is the most powerful way to achieve this,” she argued. She also stressed that education is the only standard for sustainable peace and reconciliation despite situations that might warrant military interventions. All IPU statutory bodies, including the Governing Council, Standing Committees, committees on the Human Rights of Parliamentarians among others are meeting for the 140th IPU Assembly scheduled for 6-10th April 2019. Ms Osoru faulted Parliaments for failure to deliver on the laws that guarantee a sustainable future for children through education yet they pass billions of dollars in military finance with no tangible results to show for it. In 2018, the MP said, the world spent $1.7 trillion on the military funding yet a simple fraction of the same would quickly turn around the education industry. Osoru proposed an inclusive education with curricula that is routinely updated to meet the technological and market demands and pushed for new legislation that will facilitate a free education all the way to the university.